Last fall, 3-time Grammy Award-winning vocal/instrumental ensemble Sounds of Blackness released the song “Black Lives Matter” along with the video that has been receiving much praise on YouTube. About a month ago, the inspirational famed group also released “Royalty,” a song dedicated to the astounding musician Prince with a special collaboration with students from HSRA (High School for Recording Arts). The video can be viewed online at www.soundsofblackness.org. 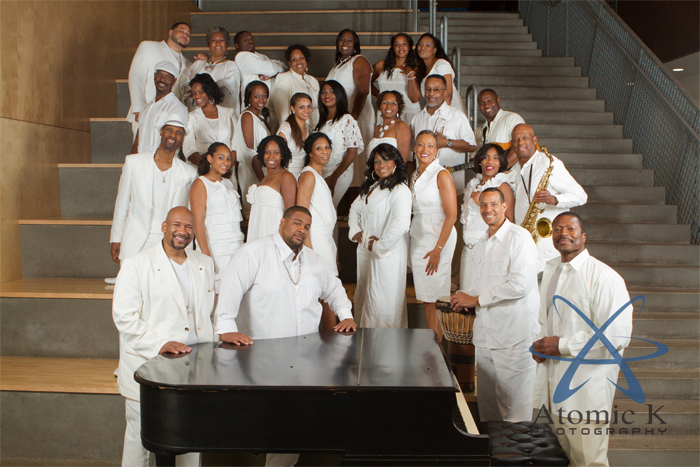 In the future, the group is looking to release their first live CD featuring ACWC (A Cappella Choir of Wiley College) along with many other projects having many talents and collaborations. 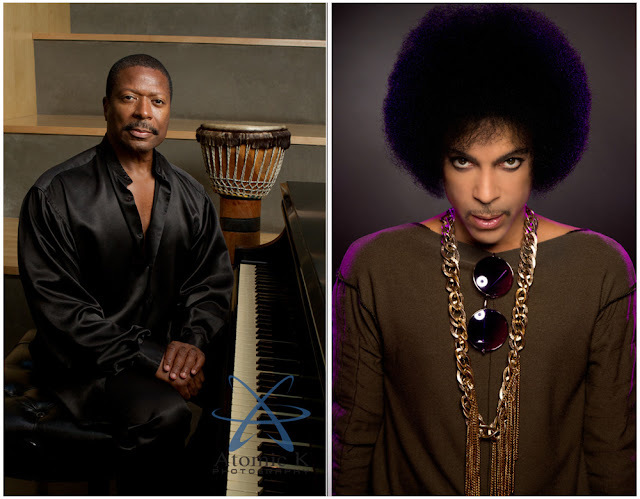 Gary Hines, music director of Sounds of Blackness, a man filled with integrity and who has a great heart and soul, remembers a friend and brother in spirit, the late international mega star Prince. He speaks of how substantial Prince was in helping put the Twin Cities on the map, his amazing character and personality as his fans remember his phenomenal artistry and the “Minneapolis sound”. The iconic figure was an incredible actor and brought many cultures together with his music. Most importantly, he was a humanitarian, a side of him that was sometimes overlooked as he gave to countless charities. Our Prince definitely made a tremendous difference in hundreds of thousands of people’s lives. 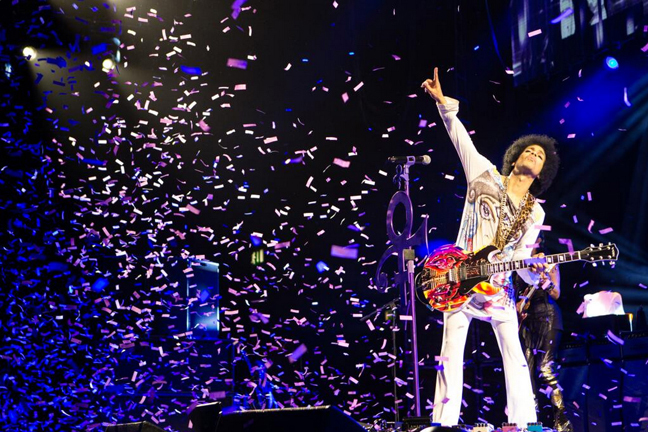 Here is what Gary Hines has to share about his profound memories of Prince and much more. Aaron Robinson: How did Prince and you become friends and what were you guys friendship like? Gary Hines: I was entering junior high school, the building that is now called Sebathani Community Center used to be Bryant Junior High School. I attended there, then later went down the street a few blocks to Minneapolis Central High School. Bryant Junior High School and Central High School had a very interactive relationship - the bands, the sports teams, in terms of practices. Sometimes we even had joint practices and joint concerts. That’s where I first became aware of Prince and I was of course at Central High School and kept hearing about this young dude that was just monstrous on all the instruments and just a virtuoso. Long story short, I certainly know that I was like 5 years ahead of him and because of the interaction of the schools, I was directly aware of him. Soon after, I met him as he had his band and they would play throughout the twin cities. Prince was also a great basketball player despite his height. He was on the varsity team in high school, which surprises a lot of people. Aaron: What was Prince’s character and personality like? Gary: In many ways, Prince was a regular guy. Despite all of his tremendous musical gifts, [he was] just a brilliant mind and always on top of things. Of course he loved basketball and loved the sports scenes here [in Minneapolis] that’s with the purple, you know, the Vikings and all of that. He had a great sense of humor - a prankster. [He was] great in disciplinarian and real focused when it came to the music. He was always open to and always soliciting collaborations or ideas to incorporate into whatever his ideas was. A lot of times, and very in fact often times, especially the people that he really didn’t know or wasn’t close to, he was very quiet and reflective. But that quietness, that was never to be distance. When he was quiet, he was just reserved in that ‘mind going’ kind of thing. Aaron: Did he have any children? Gary: He did not. 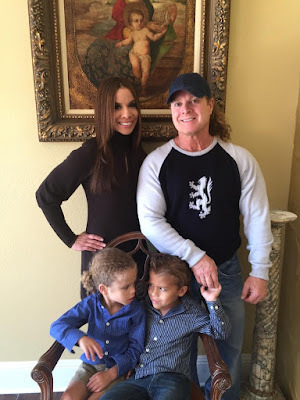 I believe from a second marriage, they lost his baby boy. It had an impact on him. It was right at birth. I know that that was really hard on him. It came out to some degree in the press but not to a large degree. Again, that was a private matter family kind of thing. Aaron: Speaking of private, we all know that Prince was a private individual. Why was he such a private person? Gary: The private part of him was nothing new in fact. I knew him as he grew into his international fame so on and so forth. Relatively that I know of almost, nothing never really changed. He always had that private side to him. Again, despite having that, in addition to having the regular guy side of him, he always had that personal side where he would be very introspective in terms of what he was doing, what he was thinking until it was time for him to share it, what was on his mind, and what direction he wanted it to go - whether if it was a project, function undertaken, or an event. When the flood gates would open (laugh) - I use to tease him about this. It would be nothing for him to call me at 2 or 3 in the morning with an idea that he might have for Sounds of Blackness or even to just talk about his phase or what was going on, especially in the black community in the world. Aaron: The question that many would like to know is, what inspired his fashion sense? Gary: You know what (laugh), actually a number of sources. He would tell you that he was very very cultural influenced. 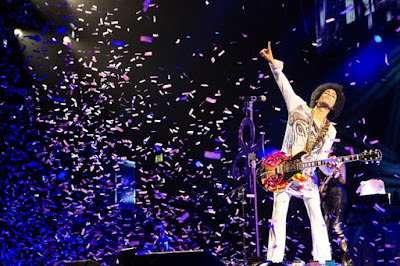 When you look at Prince, especially a stage show related to his wardrobe, you would see some James Brown, you would see some Little Richard, you would see some Sly Stone, you would even see some Cab Callaway. You can even see a little of the British Invasion, as well as haute couture in his own interpretation of it. Aaron: What do you think Prince would like his fans to remember him by? Gary: I think, even right on par, his faith. He was very very very devoted and very sincere about his walk with God. His music was reflective, a expression of his heart and soul. As the musician side of him, obviously he would want us to remember the music but in the context I think of its meaning. [He would want us to remember] his caring for people, a caring for all people, in additional, a special caring for black folks. Those midnight phone call conversations, a lot of them more often than not, opposed to being focused on music, was focused on talking about God and talking about the condition of our people. He would want us to remember his humanity - to put it in one word. His music was a vehicle for that. He really took serious of what Paul Robeson quoted… “All true artists have a great responsibility to their people.” Prince embodied that. Aaron: As a humanitarian, did he ever discuss anything to you about any of the charities that he was a part of? Gary: He talked about it, but not specifically who he was going to help. He would talk about the condition of our people. Anonymously, he believed in helping people. He would never say “okay I’m going to give x-amount of dollars to organization number A”. One of the things that he was adamant about and that he pressed me about and I appreciated that from him was for Sounds of Blackness, like Jimmy Jam and Terry Lewis did for us is to never change. Prince would always say, “Man always keep a focus on these young bloods out here, our youth and their identity and heritage. Make sure they know their history and keep that.” And really if you listen to the lyrics of “Royalty” that is really what we are talking about - descendants of kings and queens and royal blood flow thru your veins. Even though he was not a part of that recording, he certainly was a part of the reinforcing of our mind set to go in that direction. We are dedicating “Royalty” to his memory and his legacy. 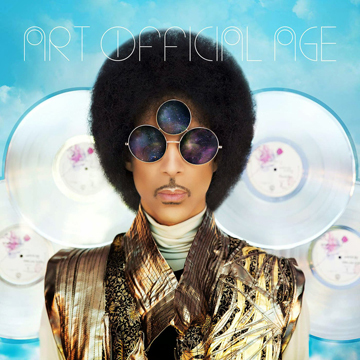 Aaron: Do you have any profound memories of Prince that stick out to you that you will never forget about? Gary: In addition to the lengthy late nights - early morning phone conversations pouring out heart and soul, then some of the projects we were blessed with him on was like the Batman soundtrack. I’ll never forget he called and said they had this really important project that he wanted us to work with him on. At the time, he couldn’t even tell us what it was, he told us afterwards. He said we probably would stay an hour or two in the studio; of course we were there all night (laugh). We had a great time! In fact, Sheila E actually engineered; she was at the console much of the session and Prince was producing. That was on a Halloween. I will never forget that. Of course there are countless others, but those are among the standouts. Aaron: Did Prince ever come to you asking you for any significant advice regarding his music career or life? Gary: Advice, no, but he would discuss it and be open about music. He was always clear, very knowledgeable and focused about where he wanted to go, what he wanted to do and then how he wanted and needed for it to happen; especially the independent thing as artists. God bless him, he encouraged us when we went independent, Sounds of Blackness. He kept his ears to the street. 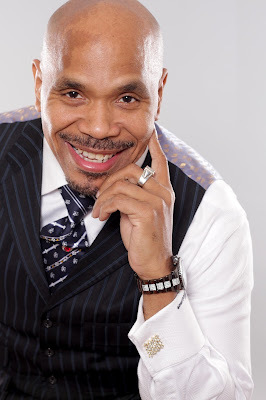 Frequently, he reminded me in his speaking of Roger Troutman because both of them would often say your whole name throughout the conversation (laugh). He encouraged us with our independence. I will never forget that. He would say ‘you can do it and just be very positive’.